Found a couple holdover 2018 SLT’s on the lot this afternoon, both of them made the same sound. Guess I just never noticed it until today. Thanks for all the info guys. Its definitely a noticeable thump when I hit the brights. I’ll be by the dealership for an oil change in about an hour, I’ll mess with some others while I’m there. 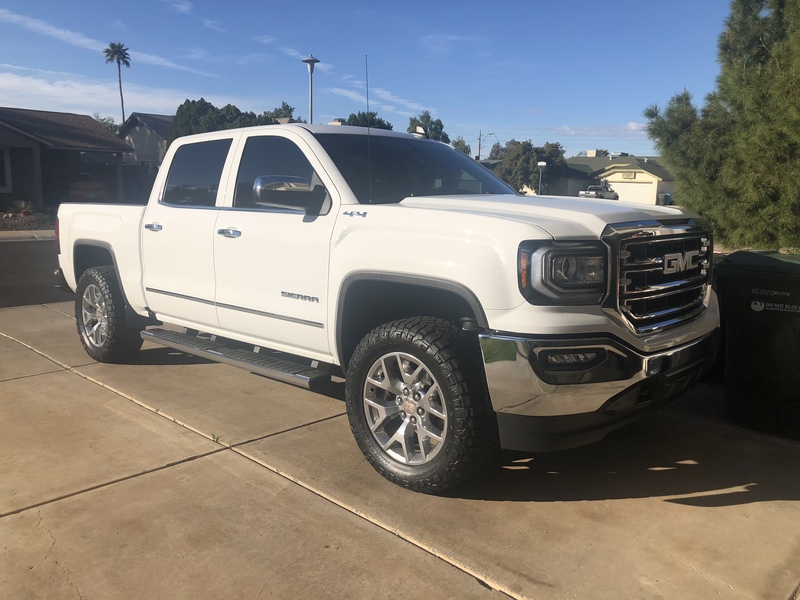 Hello, I have a 2018 Sierra CC. Has anybody experienced a “clunking” sound when turning on their high beams? I just noticed this today, the sound is coming from inside the housing on both headlights. Any input would be appreciated. I run 305/55/20’s with a 2.5” level and was also rubbing the control arm at full lock. I went with a set of 1.25” hub centric spacers. No more rub, just had to zip tie the wheel well liner. No issues with the spacers and they gave it a nice stance. A buddy of mine has a ‘17 crew cab LT that came with front buckets, center console and wireless charging. I believe his is the Texas or All-Star edition but dont quote me on that. 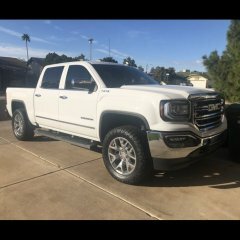 Anybody had any experience, good or bad, with any tuners in the Phoenix area? Would love to hear some opinions please. Clearly I did something wrong lol but the above picture is mine in white. Was super easy to do.